If you have found us, then it probably means you have a bat problem and are looking for a solution. Let us assure you that you have come to the right place. We have over 25 years experience in bat removal – it’s all we do! 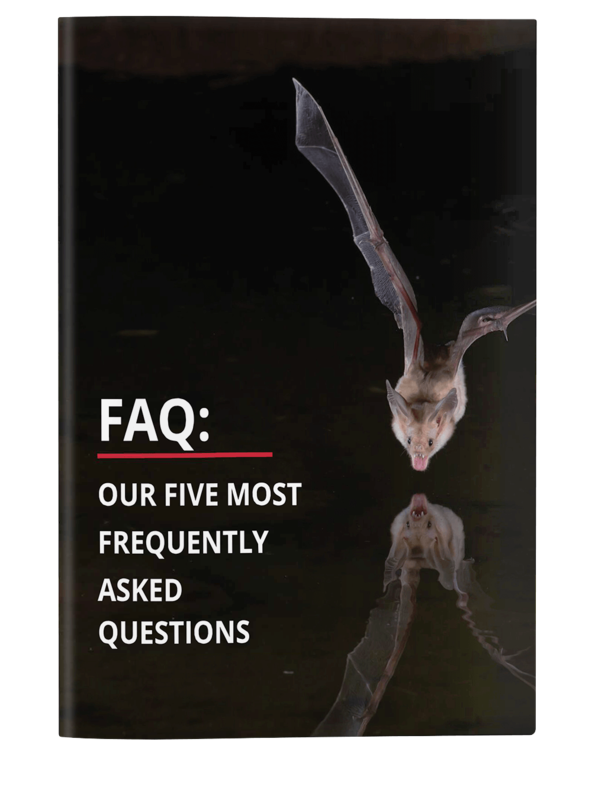 SO, if you have questions about bats or bat removal, we’ve got answers! Just click on the icon below to download our “Frequently Asked Questions” (FAQ) sheet for FREE! How expensive is bat removal? Will my insurance cover bat removal? Do I need rabies shots? 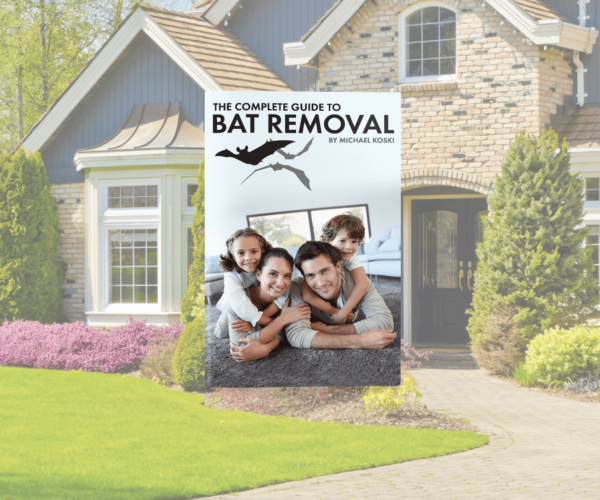 If you don’t find what you’re looking for in the FAQs sheet, please check out our eBook “The Complete Guide to Bat Removal”. Purchasing our eBook is a NO RISK offer because it comes with a full, money back guarantee, plus added bonuses. Unlimited remote consultation, until your problem is solved. My personal email address & the phone number to my P.A. Plus, if you ever decide to hire us, we will apply the FULL value of the book towards the cost of our services. It’s a win win! Find out more about our ebook by clicking below. Being bat-free is just a few clicks away! PURCHASE THE GUIDE TODAY FOR ONLY $37. THIS IS A SPECIAL LIMITED TIME PRICING. DON’T DELAY, BUY TODAY. Get Bats Out – We are bat exclusion experts ready to help with your bat problem. We are professional, safe and offer rapid response to any situation if needed. What Blame Can Your Hospital Take for Bats? © Copyright 2018 Get Bats Out | All Rights Reserved.